Take a look at the projects from Knit Simple Winter 2018 featuring Koigu yarn! See the beautiful shawl design by Unjung Yun, that is now on the cover of Vogue Knitting Magazine! What’s better than shawl knitting in the summer? Nothing! It’s the perfect project to drop in your project bag for road trip drives, relaxing on the beach and nights around the fire at the cottage. Or if your in the heat wave we currently have at Koigu, shawls are great to wear and knit in air conditioning... hopefully if you have it! I’ve rounded up some of my favourite shawl knits right now, if your in need of a new project plan! Are you planning on joining in on the Casapinka Crown Wools Mystery Knit-Along? Find the kit for sale at Webs Yarn! The Casapinka Crown Wools MKAL will take the shape of a shawl approximately 80” long by 17” wide, and the clues will be released over the course of 6 weeks. You’ll look and feel like royalty when you finish your shawl. The Aranami Shawl is designed by Olga Buraya-Kefelian. This shawl looks beautiful done in Koigu KPPPM and would be beautiful in any of our fades! 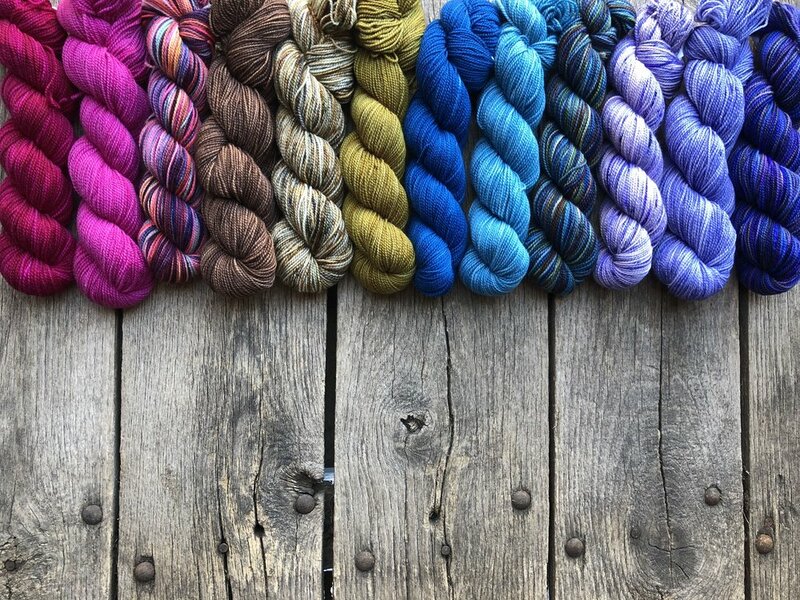 Fig Tree Yarns is a beautiful shop in the Jersey Islands, and would be a great travel destination shop to add to your list! This adorable shawl was designed by Karin Fernandes for Loop! 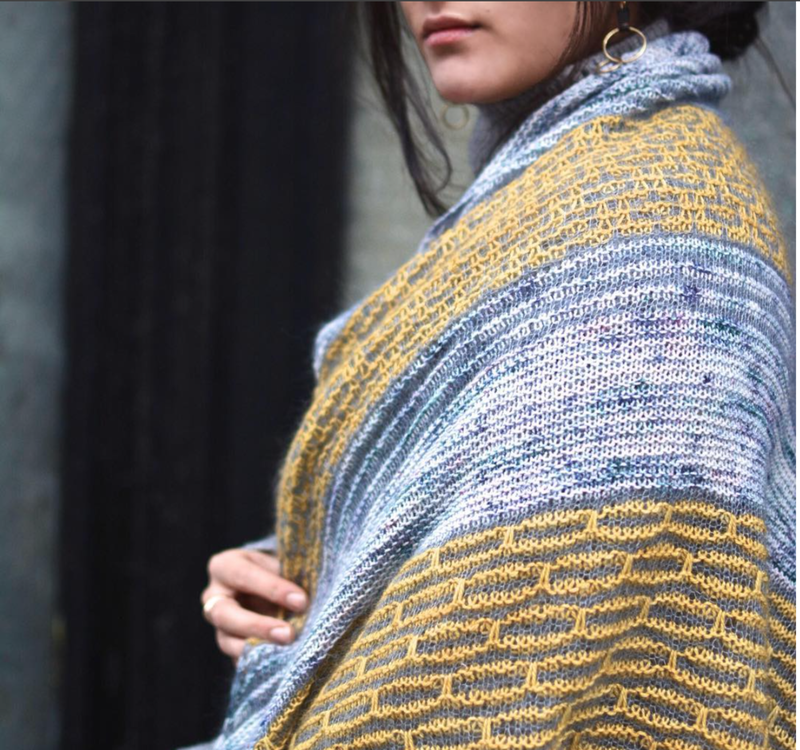 The kits available at Loop feature both Koigu KPPPM and Madelinetosh Pashmina! The Jacinta Shawl by Ambah O’Brien is absolutely beautiful! Done in Koigu KPPPM there are many possibilities. Show the shawl is knit in a Koigu Gradient pack or the Koigu Pencil Pack! The Charlottes Web is a tried and true Koigu Shawl favourite. Designed by Maie Landra, the shawl is knit in five skeins of Koigu KPPPM! Shall We Knit in Waterloo is doing a knit along this summer at their shop with the Charlottes Web! This project is a perfect knit along with your your friends! The Judah Pattern has now been released knit in Koigu Chelsea. View this and Knit Simple Holiday 2017 designs in Koigu. Look out this fall for Vogue Knittings anniversary issue including many beautiful designs in Koigu! Both scarfs call for one skein, a great pattern for breaking down your stash of Koigu yarn. Scarf can be knit in both garter and moss stitch. As discussed in our previous post, its not always easy imagining colours together especially knit up in a pattern or stitch that you haven't tried before. Starting a big project right off the bat can be nerve wracking because of this, not wanting to spend countless hours and skeins on a colourscape and pattern you're not thrilled about. So, naturally, making a little tester (a swatch) helps! Even though here at Koigu, colour is our specialty, we know how hard it can be to choose colours and even harder to imagine those colours knit together before starting a project.